Have you ever experienced the excitement of a monster truck rally? Here’s your chance to bring that excitement home! 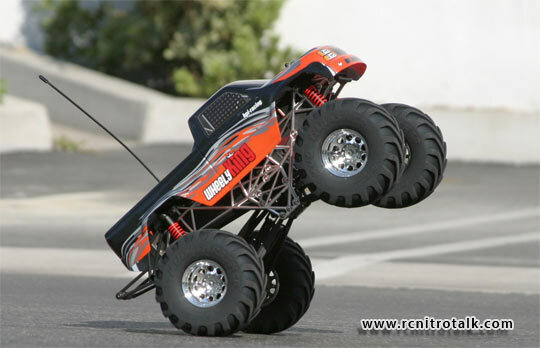 HPI is proud to announce the release of our newest addition to our electric monster truck line, The HPI Wheely King! As the name would imply the HPI Wheely King is designed with the wheelie in mind, perfect wheelie-tuned weight distribution and rear wheelie bar allows you to pull an all day wheelie and also bash with the best of them. Realistic looks add to the monster truck experience with features like Tough TVP (Twin Vertical Plate) chassis with tube frame design. Front and rear solid axles with pivot arms and center gear box also add to the realistic driving experience and scale looks. 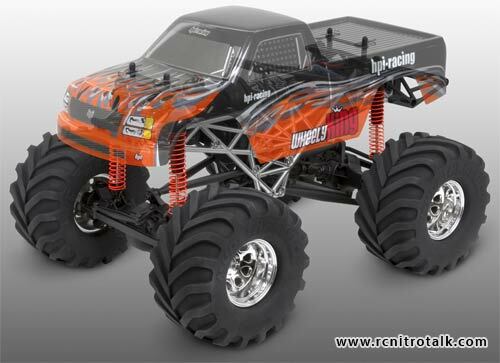 Included in the package are realistic chrome wheels and new 5.4″ Mud Thrasher tires, and an adjustable design that makes mounting your choice of bodies quick and easy. 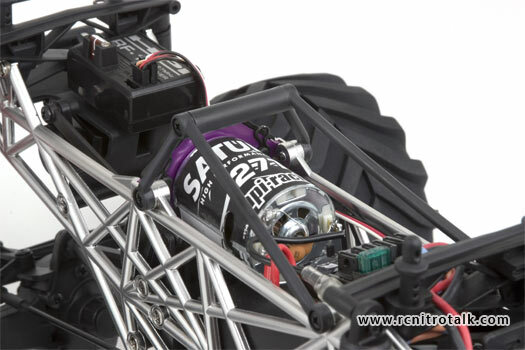 The 1/12th scale size of the HPI Wheely King is perfectly suited for the back yard basher with features such as 4 long stroke oil-filled shocks and coil springs with 6″ of suspension travel for all-terrain driving, adjustable gear mesh that allows a variety of gear ratios, the flexible drivetrain layout allows for the use of all popular 7.2 volt batteries and 540 size motors. The simple and durable design of the HPI Wheely King allows for ease of maintenance and the ability to soak up almost any kind of abuse you can throw at it. 1/12th scale size is perfect for backyard driving. Designed for easy maintenance and durability. Full Ball bearings for efficiency and long run time. Discuss the new HPI Wheely King RTR Truck in our General Electric forum!